It must be a Fresh Prince reunion day or something. First Uncle Phil was in the news when he was pictured alongside Rochelle in the latest Left 4 Dead 2 photo. 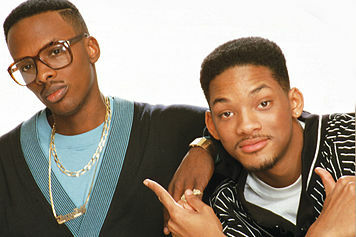 Now DJ Jazzy Jeff has popped up as being included in the upcoming DJ Hero title from Activision. Jeff joins an already packed house of famous DJ's including; DJ Shadow, DJ Z-Trip, Grandmaster Flash, DJ AM and others. His likeness will be used in the game as well as brand new mixes of music that are sure to boom boom shake the room. We'll let you know when we hear about the Carlton co-op platformer from Nintendo later this week.